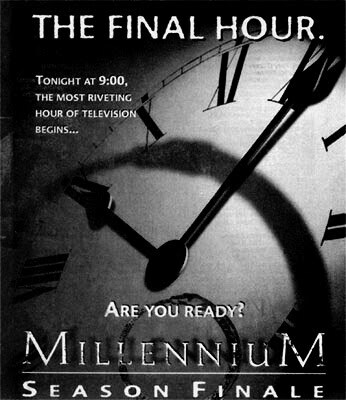 Just two days to go for the Millennium Movie Poster Project, but there's still time for you to create and submit your entry if you have yet to do so. As a reminder, this competition asks you to turn your visions of a Millennium movie into reality in the form of a poster design. The composition is entirely up to you, with the only limits being those of your imagination. Our superb triumvirate of judges - Klea Scott, Mark Snow and Lance Henriksen himself - eagerly await your entries, and there are a fantastic set of signed DVD prizes on offer. The first prize is a copy of the Millennium boxset, Aliens and Near Dark, second prize is the Millennium boxset and Near Dark and third prize receives the Millennium boxset. In addition, the top five entries will all receive a signed photo of Lance Henriksen. Please submit your entry or entries as either a JPEG or a PDF file(s) by e-mail to info@backtofrankblack.com. Be sure that your subject line reads “Millennium Movie Poster Project” and that the e-mail includes both your name and address. For the last time, then, we wish you all the very best of luck! There are 2 days remaining. 3 Responses to "Millennium Movie Poster Project: Last Call"
This just in - Jeff Yagher!